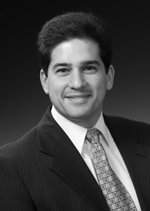 John Bartolotti, managing partner with Dalpos Architects LLC in Syracuse, N.Y., joined the board in 2014. Bartolotti has been practicing architecture for nearly 30 years. Prior to becoming an architect, Bartolotti worked in construction and studied civil technology. Early in his career, he developed a passion for developing strategic applications for emerging technologies and resources. Over the past decade at Dalpos, he has managed large projects in need of integrated design solutions. Most recently, Bartolotti has been pioneering a holistic restructuring of Dalpos’ design process to embrace sustainability and Building Information Modeling (BIM), leveraging their advantages throughout the entire design, construction and operation cycle. As a result, two of Bartolotti’s more recent projects have been recognized as 2011 Largest Retail LEED Gold CS building worldwide, and 2013 Highest Preforming LEED Platinum home worldwide. Bartolotti is a member of the American Institute of Architects (AIA), the International Conference of Shopping Centers (ICSC), and CenterState CEO.